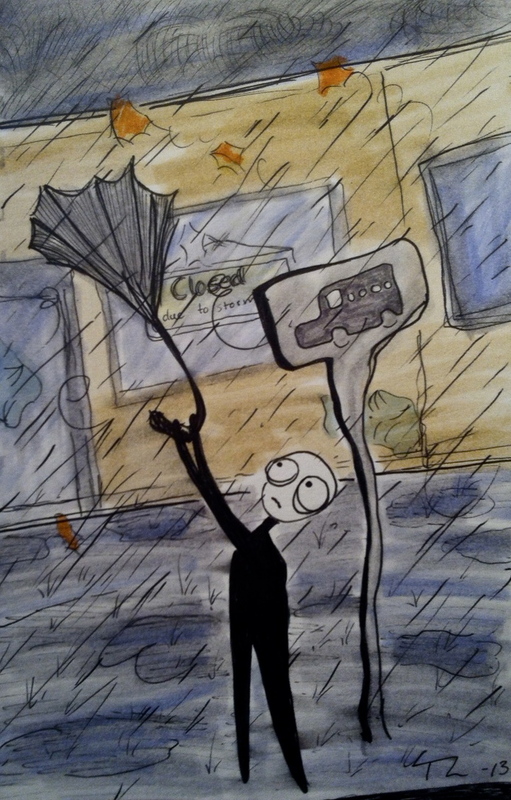 Image | This entry was posted in Out for a walk and tagged Art, Autumn, Bus stop, Cartoon, Depressed, Drawing, Fall, Loner, New Jersey, Storm, Strip Mall, Umbrella, USA. Bookmark the permalink. The facial features of the figure make him look so sad :( Hopefully your next illustration will brighten up his day!